Move over Ryan Seacrest, Burberry is now catering to taller men. 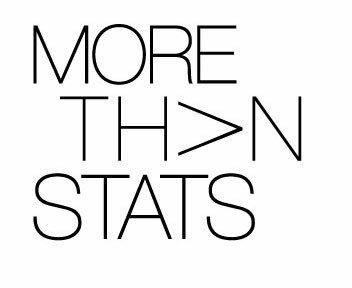 And by taller I mean 6 ft 11 inch LA Clippers center DeAndre Jordan. Last week DeAndre & his stylist Paige Geran hosted a screening of the Burberry Fall/Winter 2014 menswear runway show at the Burberry Boutique in Los Angeles. Jordan stunned in a slim-fitting gray custom Burberry suit. 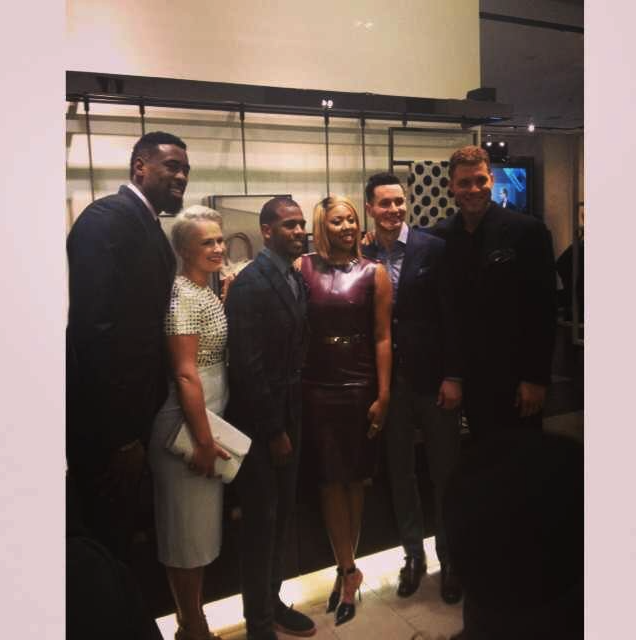 Geran told the LA Times this is the first time the British brand has made a full custom suit piece for an NBA player. 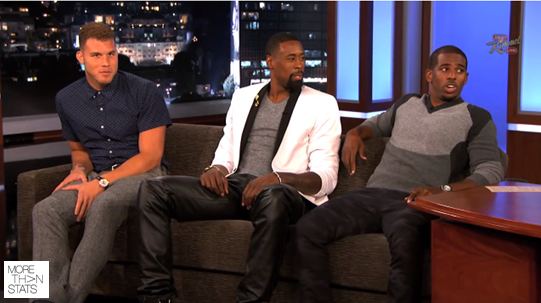 And who better than DeAndre Jordan to make a suit look good? His slim-shape and size is perfect for bespoke. DJ is now officially climbing to the top of our fashlete (fashionable athlete) list. 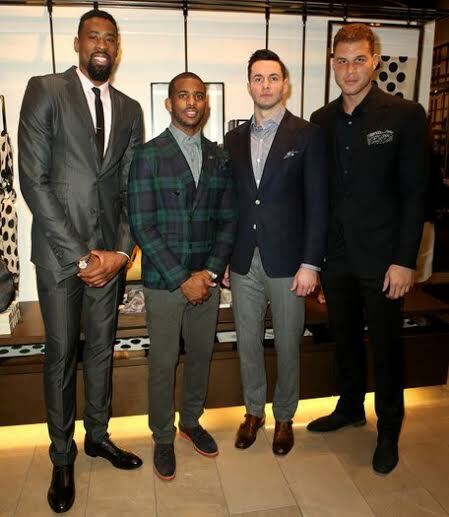 Among the attendees of the event were DeAndre’s closest and most fashionable teammates: Chris Paul, Blake Griffin, & J.J. Redick (So much Sideline Style in one place!) & his stylist Paige Geran (pictured below, center). Jordan also told the LA Times he had yet to attend an actual fashion runway show. “But I’d really like to,” he said. We hope to see DeAndre at some shows soon. Few things in life are better than a good suit. 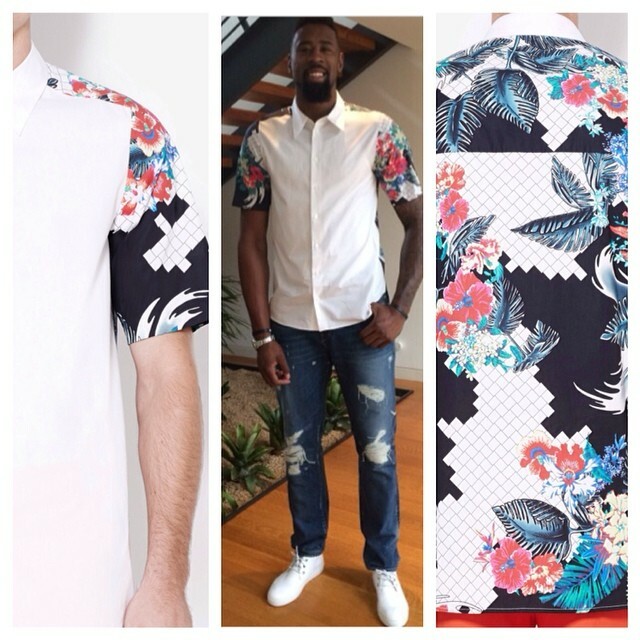 DeAndre Jordan in custom Burberry is one of them.